Tiny Toes in SoCal Sand: Our First Two Weeks with Mother Goose Time! Our First Two Weeks with Mother Goose Time! I had some pretty big decisions to make this year, and I had to make them quicker than I normally like. In my next few posts I'll explain my decisions and just how important they were, but for today's post I'm going to focus on the outcome of one of my major decisions! 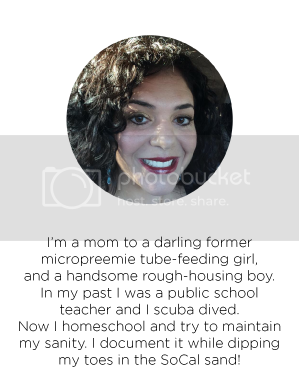 Rather quickly, I decided to put Tiny B in transitional kindergarten (TK) rather than kindergarten through our local public charter homeschool program, which is what I'd call hybrid--a mixture of going to class and being schooled at home. TK kiddos only attend the actual school for about three hours a week. The rest of the time I am the teacher, which is a huge responsibility! The school gives us a curriculum that can use, but they also trust us to choose a curriculum that may better fit our child. And that's exactly what I did! It has been one of the best decisions I've ever made. Mother Goose Time curriculum contacted me to become a blog ambassador, in which I blog for them in exchange for their curriculum. They are particularly interested in me showing how the curriculum can be used with a child with special needs, and this is exactly what I will be writing about! My five year-old daughter was a micropreemie and has minor cerebral palsy. 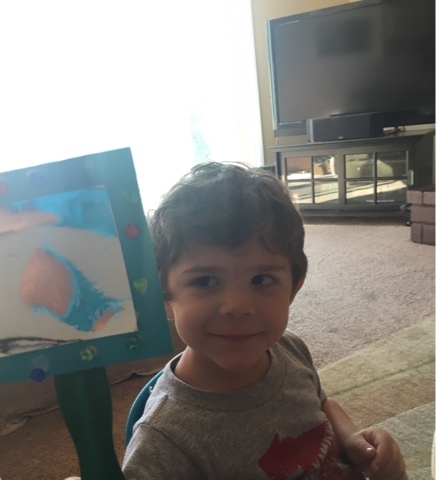 My three year-old son Big B, will also be using this curriculum, and he is typical as typical can be, so you'll be able to see how I differentiate based on their needs. This excites me more than I can convey here...When I was an elementary school teacher, my main focus was always tailoring each lesson for each individual child, as much as possible. 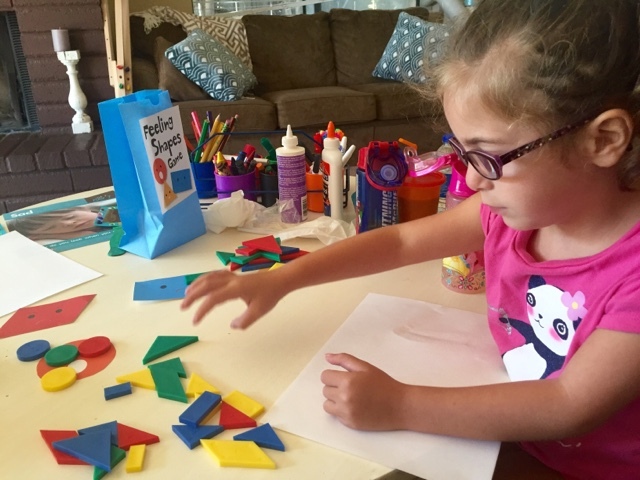 Anyone can teach using the MGT (Mother Goose Time) curriculum with confidence that they will be teaching the appropriate objectives and that their students/children will just love it! *Here is where I pause and tell myself to stop gushing about it and get on with sharing about our first two weeks! There are SO MANY activities that I would never be able to write a description of each one without writing a novel. The activities cover all of the preschool/transitional kindergarten objectives using a wide variety of teaching tools and methods. Perfect for every kind of learner! I'll describe just a few here to give you just a peek. 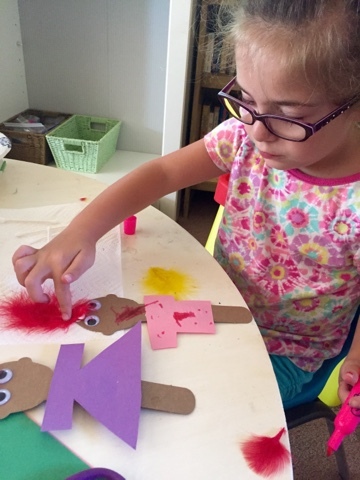 One of our first activities was making puppets. Tiny B needs A LOT of fine motor skills practice, as her cerebral palsy has left her hands pretty weak and uncoordinated. 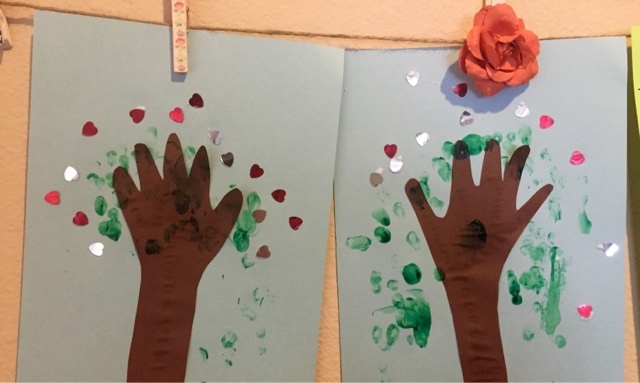 There was gluing and cutting and coloring involved to work those hand muscles, as well as role play, to practice social skills! 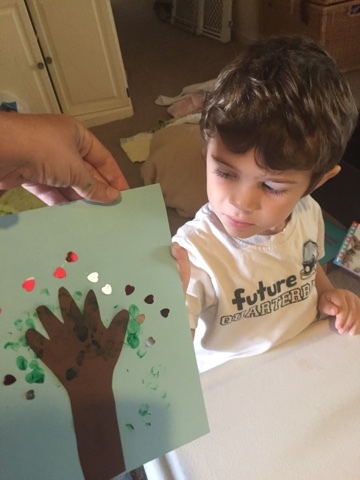 We did an "I am Special Tree" in which we focused on why both Tiny B and Big B are special...so important for a kiddo who has challenges and for her little brother who might not always feel like he is number one. We learned about David and Goliath. 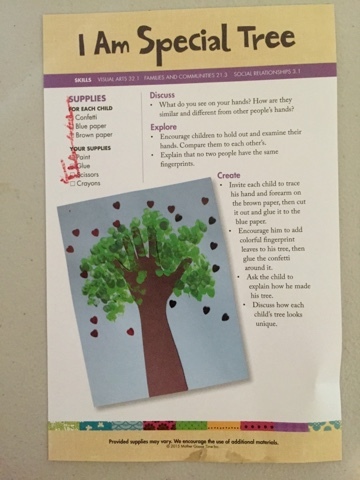 This bible study portion is an add-on to the main curriculum which also doubles as reading comprehension practice and fine motor skills work. Look at that sewing! 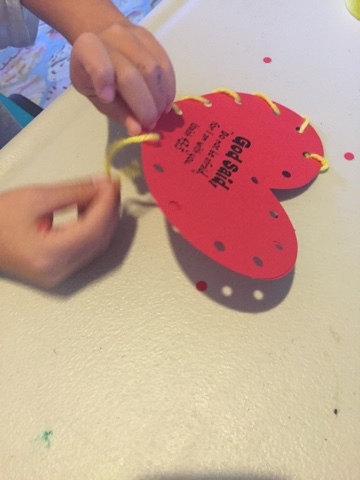 This is a skill that Tiny B's occupational therapist has used with her for years...and now she gets to do it in a FUN way and learn about being courageous in the face of fear. So important. We made beautiful hand-held mirrors in which to practice our different feelings faces. 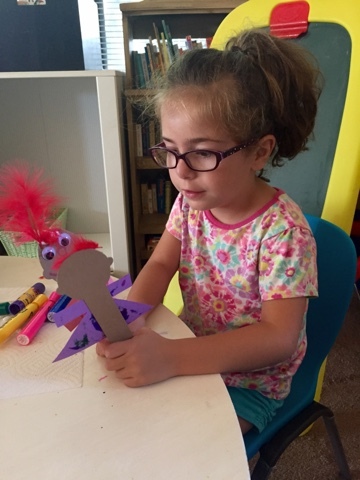 If I had had to go to the store and pick out mirror paper, special Popsicle stuck holders, and colorful jewels...this project wouldn't have happened, and I can tell you that with confidence! 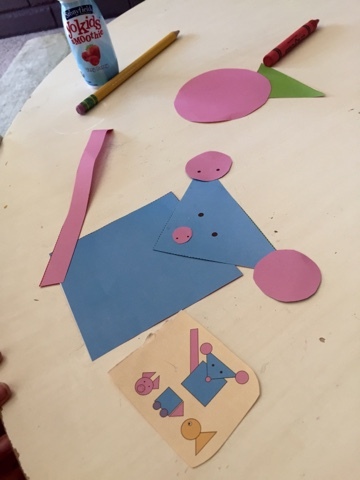 We used the tangrams manipulatives included in the curriculum to discuss the different names and characteristics of each shape, to trace, and then to make animals with those shapes! 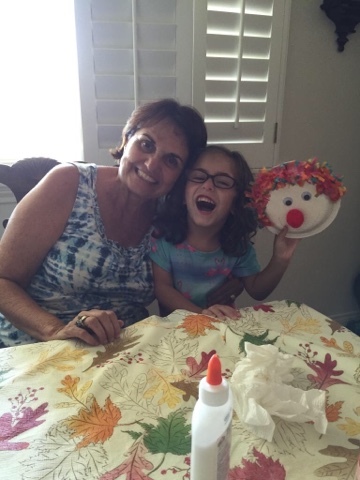 We made clowns to learn about the feeling of surprise, and the best part was that my mom was able to help! Tiny B and Big B could not get enough of this and begged to do school all day. This certainly shows that in this big decision, I chose correctly!